It’s impossible to leave hungry and you won’t spend an entire paycheck. The best of both worlds. It’s easy to get lost in a menu. When I sat down at Taiwanese Bistro Cafe 33, I felt the menu-panic start to rise. It was a thick, plastic jumble of words and pictures. I could turn the pages endlessly and come no closer to a decision. Taiwanese Bistro Cafe 33 is just off of Forbes Avenue in Squirrel Hill, Pittsburgh's hub for Asian cuisine. It’s tucked behind a Starbucks, the interior a hodgepodge of ornamental lanterns, plants, and a maze of tables. 1. Expect slow service but fast food. The cafe was bustling for a Thursday night at 6 p.m., but I managed to snag a table. It took about five minutes to be greeted with water and another five for our server to return. Once we ordered, the food came out quick and hot, with almost no time between appetizers and entrees. 2. Share your food. I can’t emphasize this enough. Family-style dining is, in my opinion, the best way to eat at every restaurant. It allows you to taste the menu. 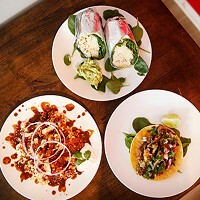 Grab your friends and experience all the diverse flavors Taiwanese Bistro Cafe 33 has to offer. 3. Ask your server for recommendations. My table decided to order an entree that featured squid, but needed direction for the best serving style. 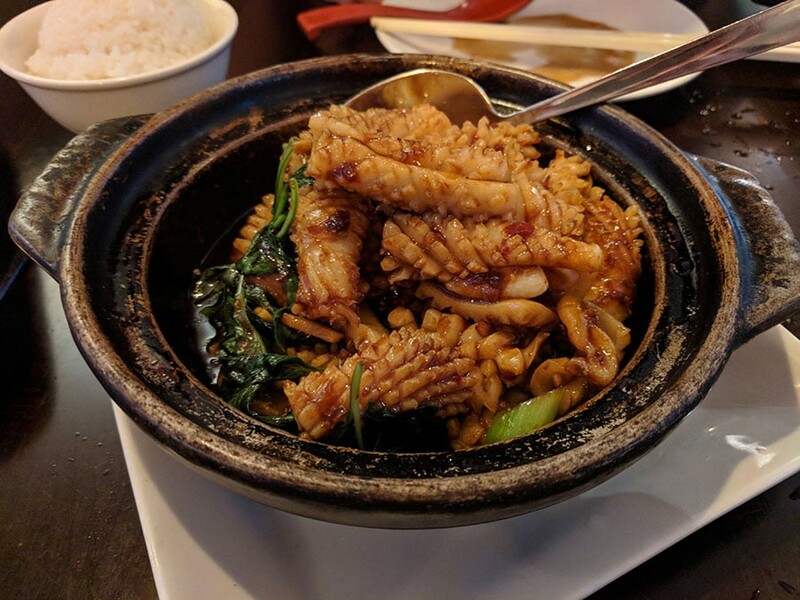 Our server suggested two options: fried squid with vegetables or a sautéed squid with basil and garlic in a hot pot. We put our fate in the server's hands and chose the basil squid. The dish was unanimously voted the favorite. The squid was not too chewy and still moist, rolled and scored to hold the sauce. Trust your servers. 4. Don’t write off the small plates. I started the meal with turnip cakes and soup dumplings, a great preface to the main dish. 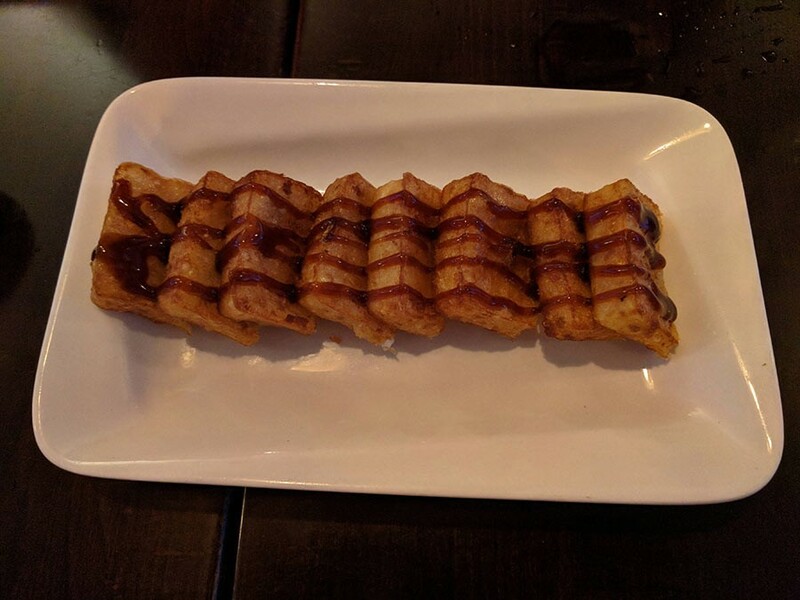 The turnip cakes were piping hot and came with a crunch. The cakes were drizzled with a thick, syrupy sauce. 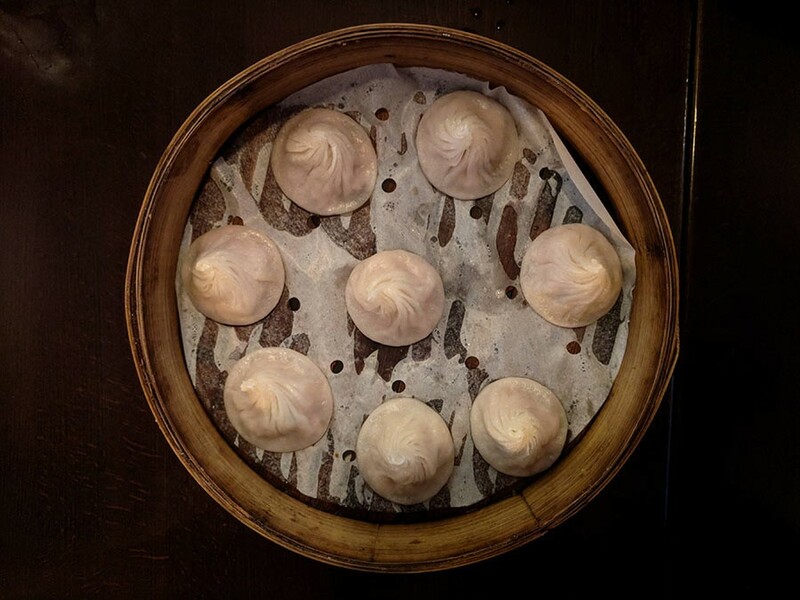 Soup dumplings are a foolproof order and these did not disappoint. They were slightly under-filled but delicious nonetheless. 5. You won’t break the bank. Taiwanese Bistro Cafe 33 is affordable and serves large portions. It’s impossible to leave hungry and you won’t spend an entire paycheck. The best of both worlds. 6. Be prepared for jealousy over everyone else’s meal. Sadly, it’s impossible to try everything on the menu. Even though you made great choices and love your food, don’t be surprised if you catch yourself checking out the dishes to your left and right. You’ll just have to go back for more.